It’s never too late – or too early – to implement a key control and management strategy. 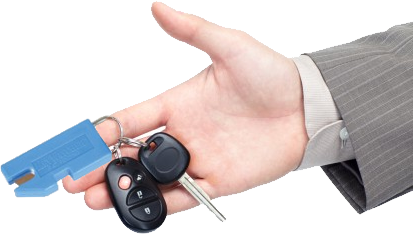 A good key control and management system is organized and formal and addresses both access to and control of a dealership’s keys. 1. Tracking: A tracking system lets you know where keys are and who has them. The system records who took keys, when and for how long. Information about these assets can also be applied to business operations. 2. Cost: An electronic key management system can pay for itself when compared to the cost of loss and/or replacing keys on a regular basis in addition to the ROI gained from improved security. 3. Security: Key management systems are designed so that only authorized users can access keys and the management of keys is controlled. 4. Scalability: As your needs grow, the system can be expanded to accommodate more key cabinets and/or other types of electronic lockers for the safekeeping of larger valuable items such as laptop computers, cell phones, weapons, etc..
5. Convenience: A key management and control system is easy to use and can accommodate a variety of keys. Lighted slots and the ability to return keys to any position add to the ease of use. 6. Integrity: Rugged stainless steel construction and tamper-proof alarms enhance the reliability of the system. 7. Access: PINs, access control cards, biometrics or any combination of the three are the most commonly used methods for accessing keys. 8. Aesthetics: Well designed key cabinets and storage lockers make it easier for all users. Compact size, top and bottom mounting options and aesthetically pleasing looks offer added options for installation. 9. Integration: Compatibility with other security systems and network access offer added richness and usability to a system. Integration with existing data bases saves time and money.